This post is sponsored by Premier Protein®. I'm excited to share this new recipe featuring Premier Protein 100% Whey Protein Powder with you. I bought a basket of blueberries at the Farmer's Market yesterday. 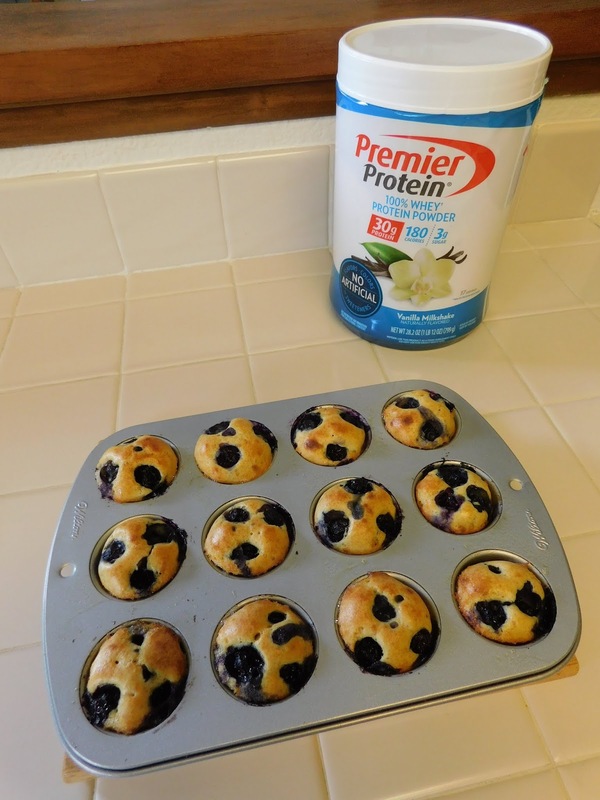 Today I used a handful in a batch of Lemon Blueberry Mini Protein Muffins. They will make a great grab-and-go breakfast with yogurt or a shake or for afternoon snacks this week. I love having something like this ready for the week ahead. It helps make making the healthier choice much easier. Mix egg, milk, sweetener (I used Sugar-Free Vanilla Syrup you find in coffee aisle, you can use maple syrup, honey, whatever you love) and oil (applesauce or cottage cheese can sub for oil but 1 T divided between 12 muffins is really not a lot) and combine thoroughly. In a separate bowl, mix pancake mix, almond flour, pudding mix, Premier Protein 30 g. Vanilla Milkshake 100% Whey Protein Powder and salt. Tip dry into wet and stir till combined. 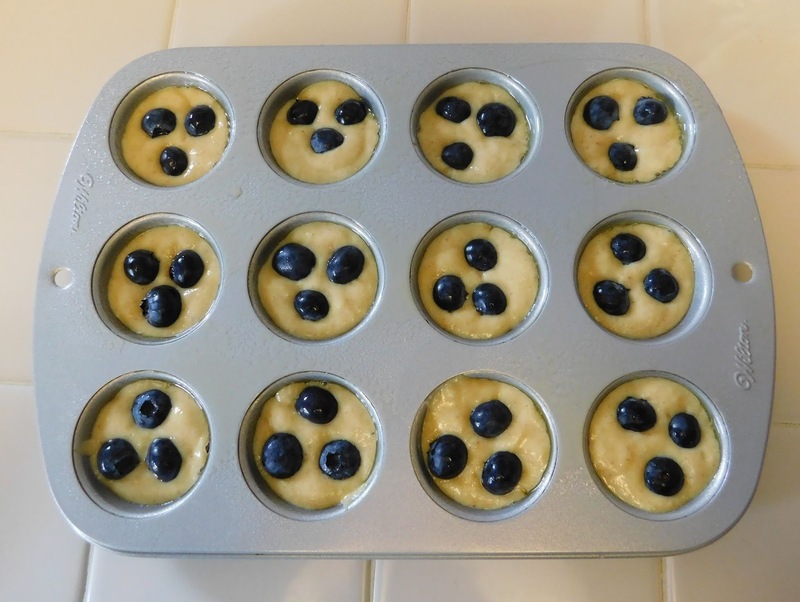 Pour into a non-stick mini muffin pan that has been sprayed with non-stick cooking spray. 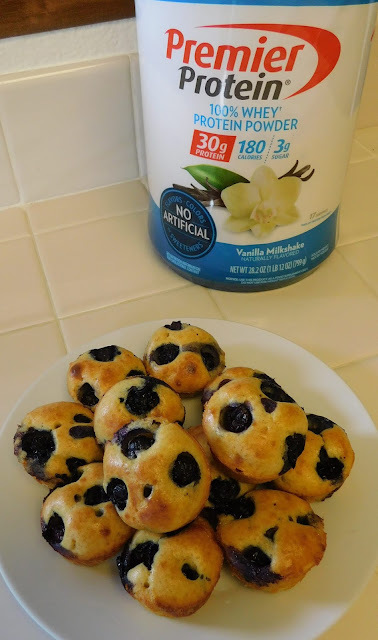 Place 3 fresh blueberries in each muffin. Bake at 350 for 15 minutes till lightly golden. Let cool slightly before removing from pan. If you make these Lemon Blueberry Mini Protein Muffins or are inspired by them to create your own Premier Protein powder recipe post it on Instagram and tag it #PremierPowderRecipes for a chance to be featured on Premier's Instagram feed. 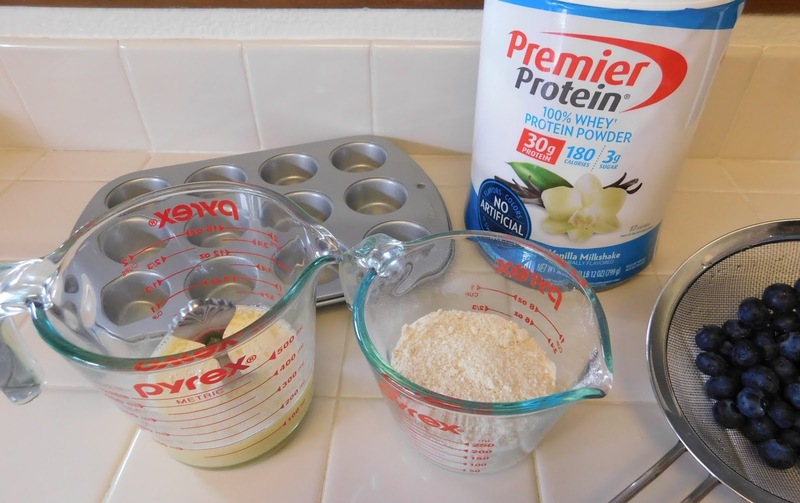 This post is sponsored by Premier Protein® #ad #PremierPowderRecipes For the purposes of this post Premier Protein provided me with product used. Want to learn more about Premier Protein products LIKE their Facebook page, Twitter and Instagram and tell them The World According to Eggface told you to stop by.